The Arabian Gulf, the largest peninsula in the world, stretches over a little more than three million square kilometers and, despite its harsh desert climate, has managed to remain a home for nomads and settled peoples for thousands of years. 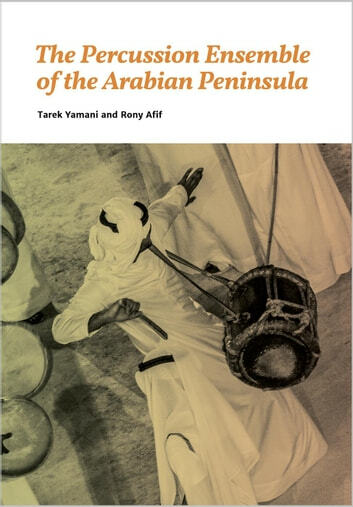 This book provides transcriptions of 36 rhythms from Bahrain, Kuwait, Oman, Qatar, Saudi Arabia, United Arab Emirates, and Yemen with the aim to shed light on the versatile musical practices of the Arabian Peninsula. Some of the rhythms covered were widely popular while others were largely unknown. This book is written for the specialized musician, Arab and Western alike, who is looking to explore, in particular, the rhythms and percussion ensembles of the Peninsula and to use them as a starting point for a deeper understanding of this music. This book is also meant to appeal to researchers and world music enthusiasts as well since the accompanying texts give a historical and societal background about said rhythms and traditions. Illustrations of 15 of the most common percussion instruments are also included for easier reference.